A new medical office building in Goochland is filling up – and getting bigger. The Medarva Healthcare-anchored building at 1630 Wilkes Ridge Parkway in the West Creek Medical Park is set to grow by 15,000 square feet. Alan Lingerfelt, chairman and CEO of the building’s developer, Lingerfelt CommonWealth Partners, said the addition will take the property from 60,000 square feet to roughly 75,000 square feet. The addition is part of Medarva’s plans to move two of its outpatient surgery centers from its Stony Point location on the Southside, a process that was granted a Certificate of Public Need from the Virginia Department of Health after a three-year process. Bruce P. Kupper, president and CEO of Medarva, said the 15,000-square-foot addition is set be completed around the fall of 2017. While cost estimates for the new addition are preliminary, Lingerfelt said the project could cost $275 to $400 a square foot. He said no contractor has been selected to build the new space. Meanwhile, broker David Smith of Cushman & Wakefield | Thalhimer, landed a deal this month to put Richmond Gastroenterology Associates into about 3,000 square feet in the building. Founded in the 1950’s, Richmond Gastroenterology Associates has about 17 physicians, two physician assistants and three nurse practitioners. The building, located in The Notch section of West Creek, was constructed in 2015 as a joint venture between Lingerfelt CommonWealth Partners and Medarva as the first of three planned phases in the medical park. Lingerfelt said the existing building is currently at 50 percent occupancy. 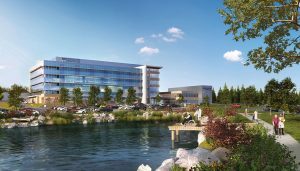 Once that rate swells to at least 70 percent, he said the development team would consider work on the second phase of the – another neighboring 60,000-square-foot medical office building. The medical park got a boost in October when Sheltering Arms Hospital and VCU Health announced plans to build a joint 114-bed inpatient rehab facility on about 25 acres there. The new hospital – dubbed Sheltering Arms Rehab Institute – would combine physical rehabilitative inpatient care for people who have sustained a stroke, brain injury, spinal cord injury or similar illnesses and injuries. 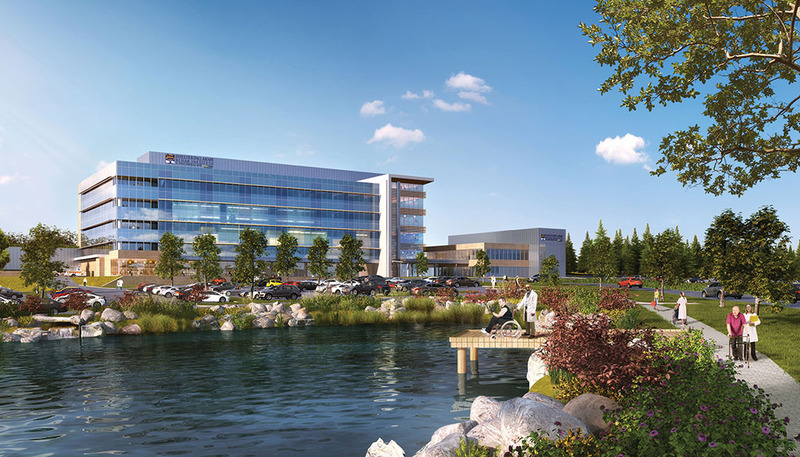 Elsewhere in the park, Resource Healthcare of America, a multi-state nonprofit that builds and operates memory care and senior living facilities along the East Coast, is also preparing to construct a 35,000-square-foot, $15 million building called The Pearl at Short Pump. Medarva Healthcare, a 501©(3) nonprofit, prides itself on practicing and perfecting the art of medicine, and partnering with community organizations to help bring medical assistance and awareness to those in need. The MEDARVA Foundation’s mission is to restore and enrich lives through health research, outreach, technology, education, surgery and to facilitate the availability of health care to those in need. It funds a wide range of medical care, outreach and educational programs throughout central Virginia.